This photo, and the image posted previously, were taken by Russell Lee (1903–1986) as part of his work for the Farm Security Administration (FSA) between 1936 and 1943. The FSA photography project documented daily life in America, particularly rural and farm life, as well as many aspects of the mobilization for World War II such as factory and railroad workers, and women in the workforce. 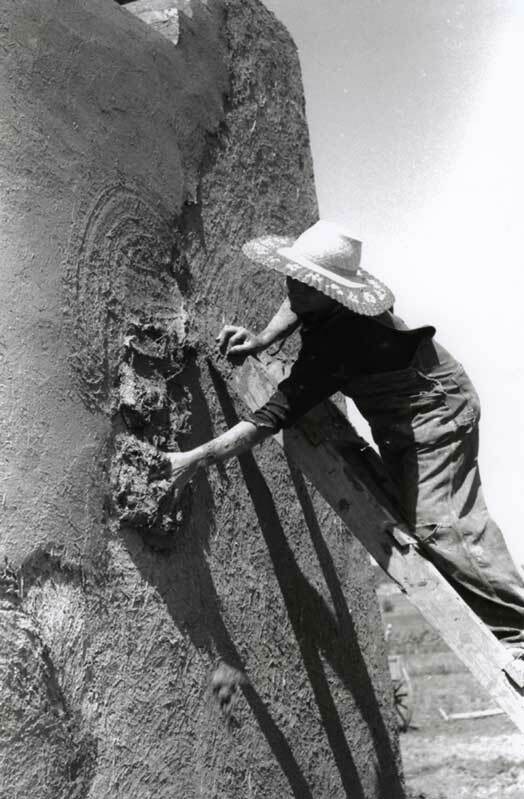 Image Source: “Spanish-American woman plastering adobe house, Chamisal, New Mexico,” July 1940, Call number LC-USF33- 012823-M5; digital images, "Farm Security Administration/Office of War Information Black-and-White Negatives," Library of Congress, Prints & Photographs Online Catalog (http://www.loc.gov/pictures/item/2017742812/. ); crediting "Russell Lee, Photographer, U.S. Farm Security Administration/Office of War Information."